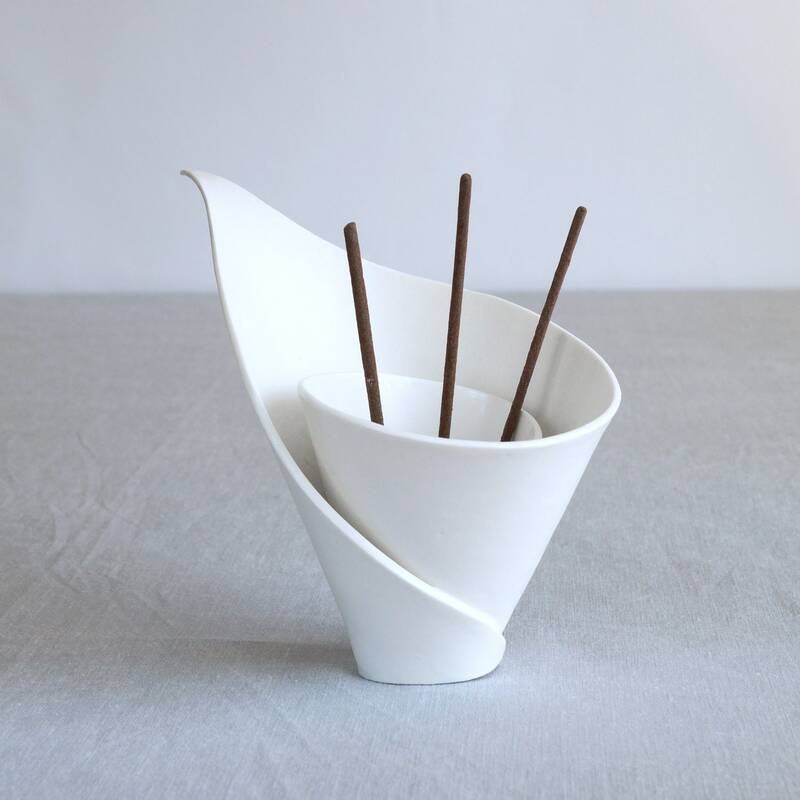 This spiral porcelain lily is primarily an incense holder and is designed to catch the trails of ash from burning incense sticks. It can also be used to hold tea lights and candles. 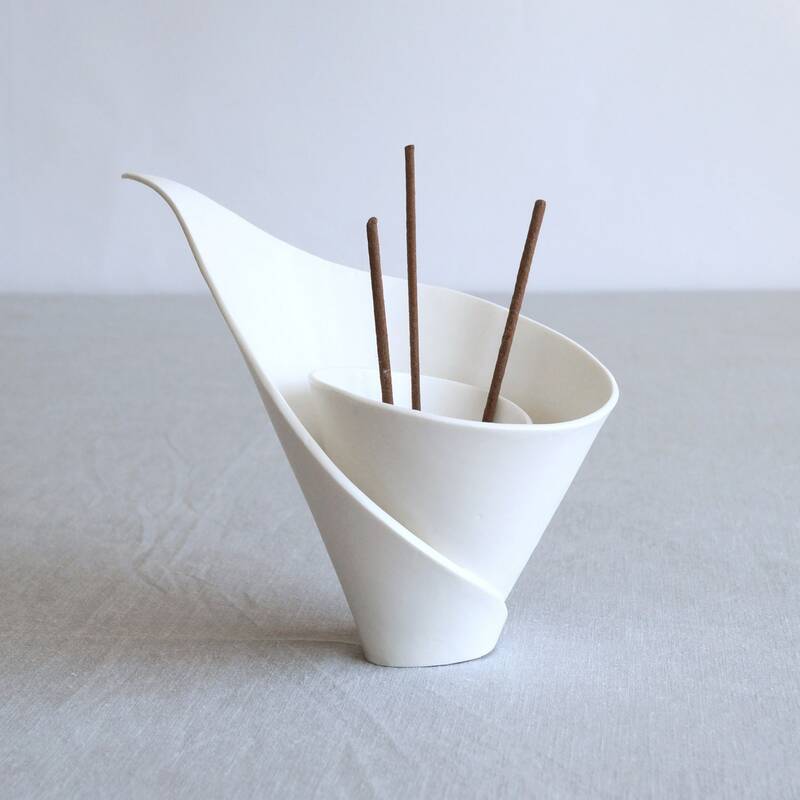 This innovative design is great for contemporary interiors and fits in perfectly with zen or scandi decor. 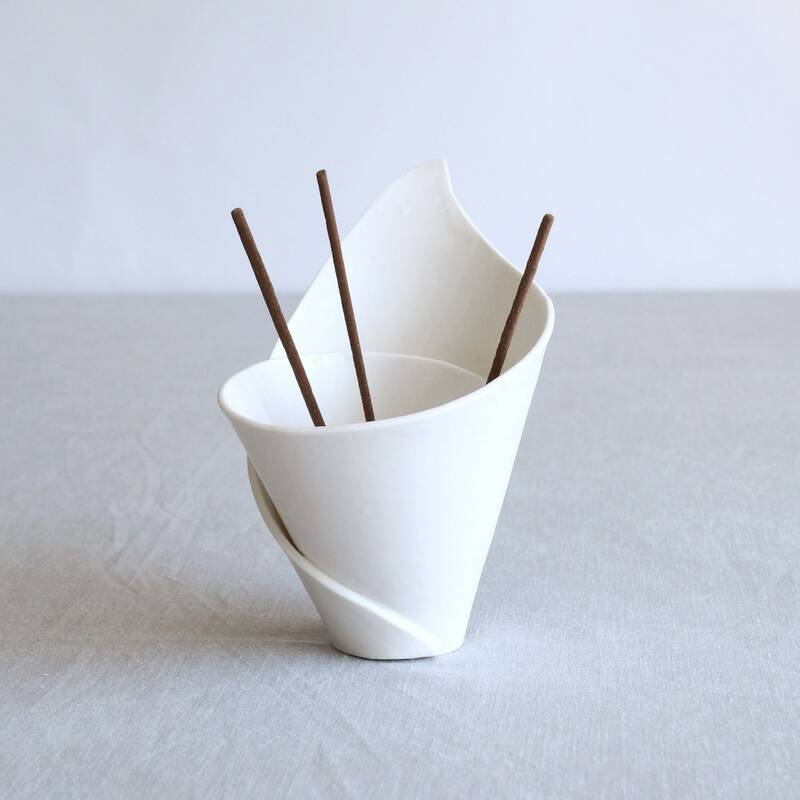 Hand built in a spiral of porcelain clay with a thick and sturdy base. White satin glaze all over. Several holes in centre to hold your incense sticks. 180 mm wide x 165 mm high approx. Not water tight due to the spiral form. 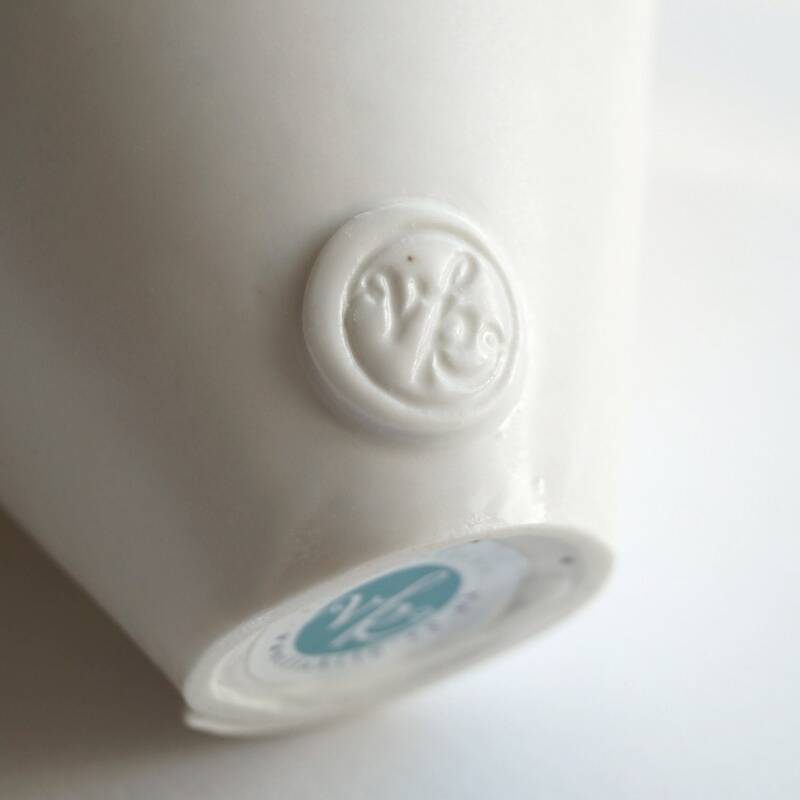 Dishwasher safe or wash carefully by hand. 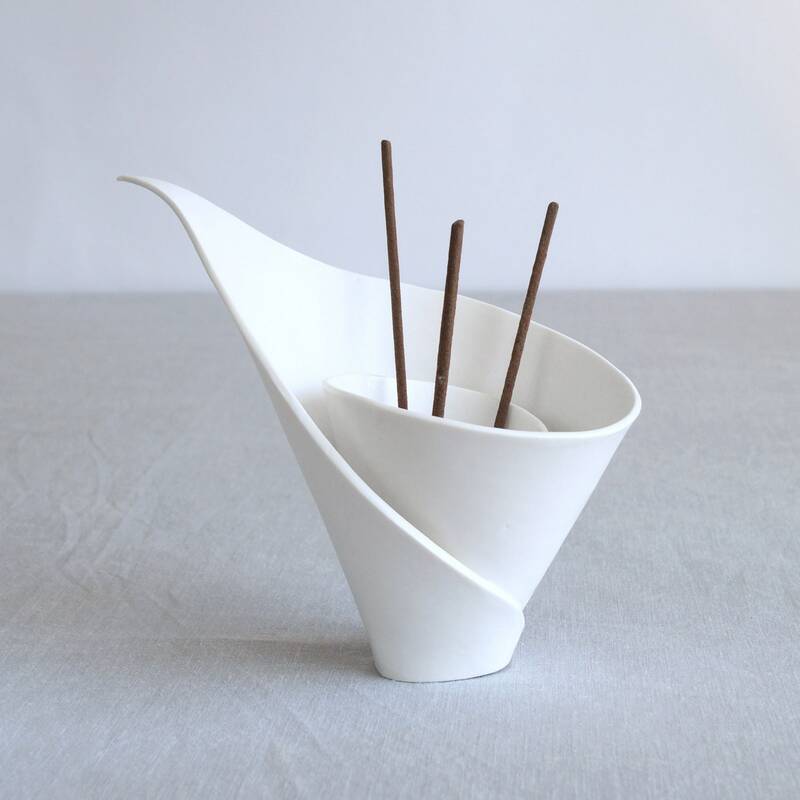 This bowl was inspired by the beautiful Calla lilies growing in my neighbour's garden. In one of those rare lightbulb moments I could see it in a spiral of clay. And because I had been designing incense burners at the time, I saw joss sticks for the stamens. 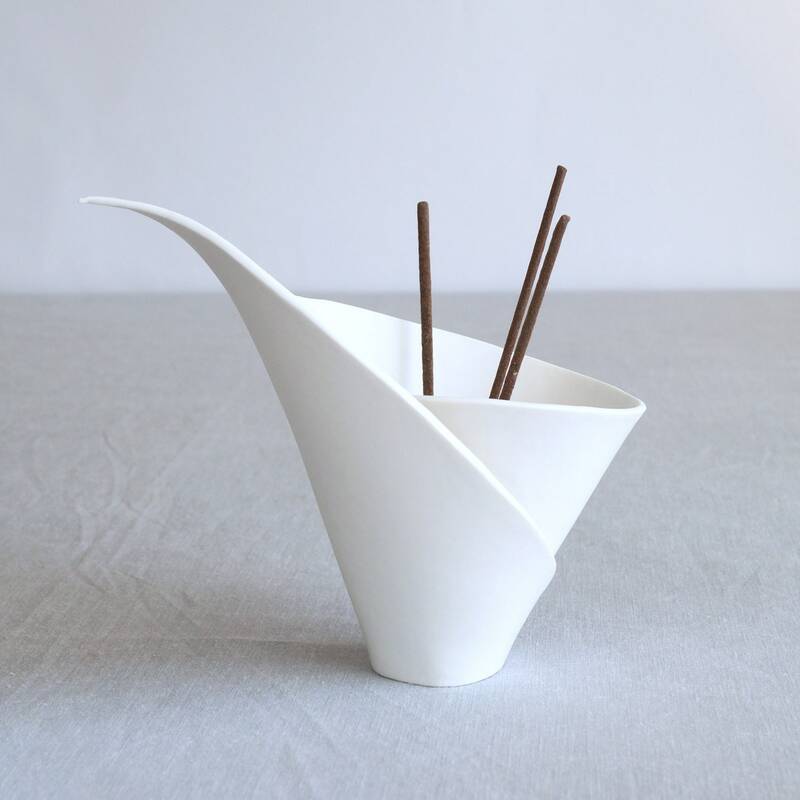 I love the simplicity and elegance of white lilies and any spiritual association with them is fitting as this bowl can be incorporated into meditation or prayers. Love it, love the color and the "artsy shape" and also the fact that I can burn incense sticks and the ashes will (for the most part) fall inside the cup itself. 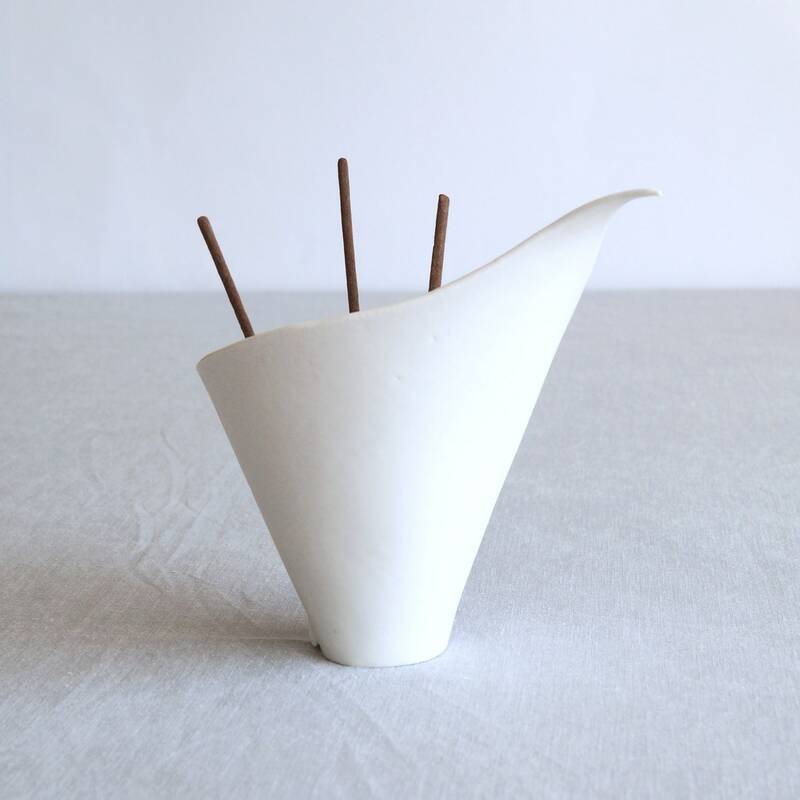 You just have to play a bit with the incense stick and stand it in such a way that all the ashes will fall inside, which can be done because there are several holes to choose from. It's pricey but lovely. My art studio is all white, so it's exactly what I wanted!